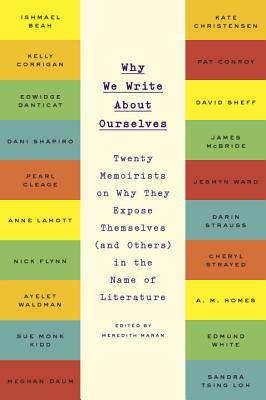 In the voices of twenty landmark memoirists—including New York Times bestselling authors Cheryl Strayed, Sue Monk Kidd, and Pat Conroy—a definitive text on the craft of autobiographical writing, indispensable for amateur and professional writers alike. For readers of Mary Karr’s The Art of Memoir and Judith Barrington’s Writing the Memoir, this follow-up to editor Meredith Maran’s acclaimed writers’ handbook, Why We Write, offers inspiration, encouragement, and pithy, practical advice for bloggers, journal-keepers, aspiring essayists, and memoirists. Curated and edited by Maran, herself an acclaimed author and book critic, these memoirists share the lessons they’ve learned through years of honing their craft. They reveal what drives them to tell their personal stories and examine the nuts and bolts of how they do it. Speaking frankly about issues ranging from turning oneself into an authentic, compelling character to exposing hard truths, these outstanding authors disclose what keeps them going, what gets in their way, and what they love most—and least—about writing about themselves. Meredith Maran, a passionate reader and writer of memoirs, is the author of thirteen nonfiction books and the acclaimed novel A Theory Of Small Earthquakes. Meredith also writes book reviews, essays, and features for newspapers and magazines including People, The Los Angeles Times, The Boston Globe, The Chicago Tribune, Salon.com, and More. A member of the National Book Critics Circle, Meredith lives in a restored historic bungalow in Los Angeles, and on Twitter at @meredithmaran. Her next memoir is about starting over in Los Angeles.